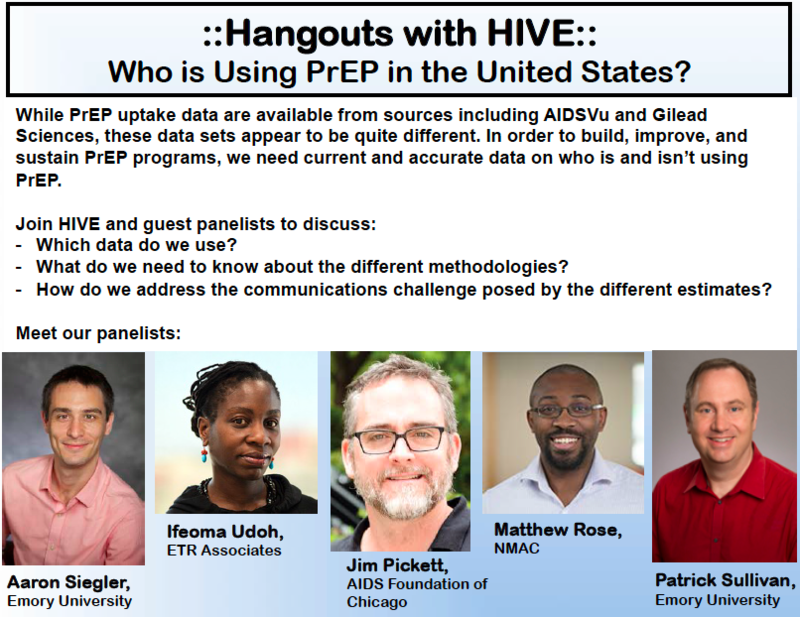 ::Hangouts with HIVE:: Who is Using PrEP in the United States? This Hangout took place on September 18th, 2018. NOTE: a few weeks after this Hangout, CDC’s 10/19/18 Morbidity & Mortality Report included additional data on PrEP users between 2014-16, including race and ethnicity. Check it out here.